So far Mike has created 4436 blog entries. The latest issue of “Prehistoric Times” magazine has arrived at the Everything Dinosaur offices and once again this quarterly publication aimed at fans of prehistoric animal models and dinosaur enthusiasts is crammed full of fascinating articles and beautiful artwork. Highlights include the latest instalment in the long running series discussing the artwork of Czech illustrator Zdeněk Burian by John Lavas. In this issue, it is Burian’s prehistoric and not so prehistoric crocodilian illustrations that are reviewed. In addition, look at for Tracy Lee Ford’s in-depth look at drawing Stegosaurus, throat ossicles and all. The front cover of issue 129 features Deinonychus, one of the prehistoric animals examined by Phil Hore in this edition. Phil was quick to point out that this year marks the 50th anniversary of the ground-breaking scientific paper on this dromaeosaurid published by John Ostrom. The paper depicted dinosaurs as active animals and examined their close relationship to modern Aves (birds). The artwork for the front cover was created by commercial artist Kurt Miller. Prehistoric Times magazine (issue 129). Celebrating the 50th anniversary of a very important scientific paper (Ostrom, 1969). There are lots of reader submitted Deinonychus illustrations too, look out for wonderful pictures from Julie Kitzes, Mike Landry and Evan King. It is also a hundred years since the book “The Land that Time Forgot” by the American fantasy author Edgar Rice Burroughs went to press, one of a trilogy of stories about a prehistoric land populated with dinosaurs and strange tribes. Scott Tracy Griffin, the Director of Special Projects at Edgar Rice Burroughs Inc. provides an insight in how the story was written and explains how the book came to be published. On the subject of books, in the “Mesozoic Media” section there are some excellent book reviews including a review of “The Palaeoartist’s Handbook” by Mark Witton. Palaeontologist Steve Brusatte summarises the top dinosaur fossil news stories of 2018, a year in which there have been some amazing dinosaur discoveries, including the naming of several new types of armoured dinosaur. A life reconstruction of Invictarx zephyri. A newly described armoured dinosaur (nodosaurid), one of several named in 2018. Chalicotheres might be rare in the fossil record, but issue 129 is packed full of pictures of them and Phil Hore expands on this most bizarre of prehistoric mammals. The report on these strange beasts concludes with stories of the “Nandi Bear”, a cryptid that is thought to lurk in the dark forests of eastern Africa. Lots of Chalicotheres feature in the spring issue of “Prehistoric Times” magazine. “Prehistoric Times” is published quarterly and it has built up a fantastic reputation for its superb articles, illustrations and reader submitted artwork. It is highly regarded by many model collectors and dinosaur fans from all over the world. Last week, saw the introduction of the latest prehistoric animal models from Rebor. The Rebor Killer Queen T. rex figures arrived at our warehouse and team members were soon very busy informing all our customers who had reserved one of these models and packing orders so that our customers could get their precious parcels as quickly as possible. We have already received some fantastic pictures from model collectors and dinosaur fans who shared snaps of these latest additions to the Rebor range of prehistoric animal models. We promise to post some of these fantastic photographs on our social media platforms, but in the meantime, we have been busy making some videos to highlight the features of the Killer Queen figures. Today, we demonstrate that the Rebor Killer Queen Tyrannosaurus rex models have articulated lower jaws. This new 1/35th scale T. rex sculpt from Rebor comes in two colour schemes. There is the brownish/tan coloured figure nicknamed “plain” and a second figure with more of a greenish colouration, this is “jungle”. It was the “jungle” colour variant that Everything Dinosaur team members chose to make the jaw demonstration video. The video is very short, just twenty seconds long, but plenty of time to show some of the fantastic detail incorporated into the head sculpt and of course, that articulated lower jaw. T. rex Killer Queen (jungle). Both the Rebor Killer Queen “jungle” and the Rebor Killer Queen “plain” have articulated lower jaws. The Rebor Killer Queen “plain” colour variant. The team at JurassicCollectables have recently published a video review of the new for 2019 Wild Safari Prehistoric World Spinosaurus dinosaur model. Over recent years, palaeontologists have revised their views regarding the Spinosauridae, with the largest known spinosaurid, Spinosaurus aegyptiacus becoming the focus for an intense debate regarding the ecological role these huge Theropods played in the Cretaceous ecosystem. JurassicCollectables have taken care to highlight the characteristics and attributes of this new model, that reflect current scientific thinking, after all, it is believed that Spinosaurus was semi-aquatic. In September 2014, a paper was published in the journal “Science” that reviewed the S. aegyptiacus fossil material and proposed that this large predator was essentially a quadruped that had adapted to a semi-aquatic existence. Here was a meat-eating dinosaur that thought it was a crocodile. There has been a spate of aquatic Spinosaurus models, and this new figure from Safari Ltd depicts Spinosaurus in a swimming posture. In this short video from JurassicCollectables (the video review lasts approximately 6 minutes and 40 seconds), the narrator comments on the crocodilian appearance of this figure. The Wild Safari Prehistoric World Spinosaurus dinosaur model reviewed by JurassicCollectables. The Safari Ltd model is in a swimming pose and the narrator takes viewers on a detailed guided tour of the figure. The webbed feet for example, are shown in close-up and there are numerous comments about the scales and the careful painting of the Spinosaurus. The figure is described as being very crocodile-like in appearance, with particular praise for the beautiful head sculpt and the subtle use of airbrushing. One of the great benefits of the JurassicCollectables video reviews is that dinosaur fans and collectors get to see models in great detail, they also have the opportunity to compare figures. In this well-crafted video review, the Papo green T. rex dinosaur model is compared with the Wild Safari Prehistoric World Spinosaurus. Off-colour Alan makes his customary appearance and intriguingly the recently introduced Schleich Spinosaurus is compared with the Safari Ltd replica. Two Spinosaurus models are compared. The Safari Ltd Spinosaurus (left) is compared with the Schleich Spinosaurus model (right). The similarities and differences between these two Spinosaurus models are discussed. It is interesting to hear how the narrator highlights the differences between these two figures. For example, the Schleich Spinosaurus may have an articulated lower jaw but it is actually much smaller than the Safari Ltd Spinosaurus. The Schleich Spinosaurus has a gloss sheen giving the model a “wet look”, quite apt for a semi-aquatic dinosaur, this contrasts with the Wild Safari Prehistoric World Spinosaurus that has more of a matt finish. Our thanks to JurassicCollectables for posting up a most informative video review. This week, sees the beginning of the summer term for schools in the UK. Everything Dinosaur team members have a very congested programme of dinosaur and fossil workshops to look forward to over the next few weeks and in a few days a member of staff will be visiting a school in Lancashire to conduct a series of workshops with Year 2 classes. As part of a busy morning of dinosaur and fossil themed activities, the teaching team have requested that we participate in a question and answer session with the budding, eager palaeontologists. The children will, no doubt, pose some challenging and intriguing questions to our dinosaur expert, however, we have prepared a special question just for them as part of our programme of suggested extension activities. Our question for the Key Stage 1 children (Year 2) – how did dinosaurs keep themselves clean? Did Dinosaur Preen their Feathers just like Birds? Did dinosaurs preen their feathers like modern birds? If many dinosaurs were feathered, how did they keep their feathers clean? Fossil bones and teeth can provide palaeontologists with lots of information about extinct animals, but evidence from body fossils can’t tell us much about how animals that lived in the past behaved. Trace fossils preserve evidence of the activity of animals, such as tracks, burrows, trails and borings. From this data, scientists can infer behaviour such as dinosaurs moving in a herd, based on fossilised footprints indicating the same type of animals all moving at the same pace in the same direction. 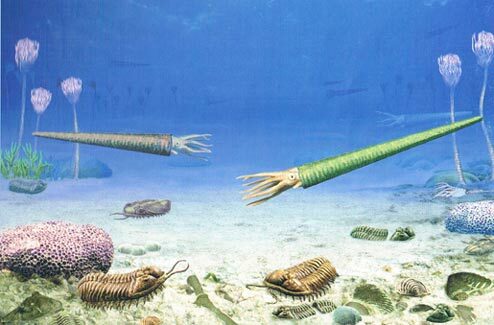 However, there is very little evidence preserved in the fossil record about how extinct animals kept themselves clean. Did Sauropod Dinosaurs Wallow in Mud Like Some Large Mammals? If large mammals like extant elephants wallow in mud then perhaps large Sauropod dinosaurs behaved in a similar way. In order to answer some of these questions about the behaviour of dinosaurs, palaeontologists examine the behaviours of animals alive today that are related to the Dinosauria. By observing how birds and reptiles keep themselves clean, then perhaps the likely behaviours of dinosaurs can be deduced or inferred. Can the Year 2 children conduct research into how living animals keep themselves clean? Can they transfer this knowledge to the extinct members of the Dinosauria and suggest ways that different dinosaurs such as Apatosaurus and Tyrannosaurus rex kept clean? As with all our dinosaur and fossil workshops in school, we like to provide lots of extension ideas to the teaching team. What can the children do to help the animals that live around the school to help them keep clean? For example, providing a shallow tray filled with water to make a bird bath – linking to the English national curriculum science syllabus – living things and habitats. Why do we need to keep clean? Why is it important to brush our teeth? A link to hygiene and personal development. Scientists writing in the “Journal of Vertebrate Paleontology” have described a new species of giant Hyaenodont from sub-Saharan Africa that was bigger than a polar bear. The giant carnivore, most likely the apex predator in its Early Miocene ecosystem, has been named Simbakubwa kutokaafrika and this fearsome beast with its huge teeth is the stuff of nightmares. A life reconstruction of the newly described giant hyaenodont Simbakubwa kutokaafrika. Co-author of the scientific paper Matthew Borths (Duke University, North Carolina), was visiting the Nairobi National Museum in Kenya in 2013 to view some specimens. He asked to view the contents of a collection labelled as “hyaenas” and he discovered a gigantic lower jaw bone more than forty centimetres in length. The bones and teeth had been placed in a drawer after a dig in western Kenya in the late 1970’s and had remained there ever since. The genus name, Simbakubwa is from Swahili “simba” meaning “lion” and “kubwa” meaning “big”, big this animal certainly was, its body weight has been estimated at over 1,500 kilograms making S. kutokaafrika heavier than the largest land carnivore alive today, the polar bear (Ursus maritimus). The species name kutokaafrika, is also from Swahili, it means “from Africa”. Simbakubwa kutokaafrika mandible, with Panthera leo mandible for comparison. The picture (above), shows the holotype left dentary (KNM-ME 20A), in (A) lingual, (B) buccal and (C) occlusal views. It is compared in size to the lower jaw of a modern lion (Panthero leo), photograph (D). Note the scale bar is 5 cm. The carnivore has been classified as a member of the Hyaenodonta (Hyainailourinae), a large and diverse group of creodonts that may have evolved in Africa. These animals dominated predatory niches in ecosystems until the emergence of the modern Carnivora. As such, Simbakubwa is only very distantly related to today’s big cats the Felidae. What big teeth you have – Simbakubwa kutokaafrika. The photograph (above), shows isolated teeth associated with the lower jaw. Pictures (A, B and C) show a right lower canine in lingual, buccal and occlusal views. A right molar (m1), is shown in (D) occlusal, (E) lingual and (F) buccal views and the second right molar (m2), is shown in (G) occlusal, (H) lingual and (I) buccal views, whilst a left molar (m2), is show in (J) occlusal, (K) lingual and (L) buccal views. Note the scale bar equals 5 cm. The hyainailourine hyaenodonts are among the biggest land mammalian carnivores known to science. The group is temporally and geographically widely dispersed with fossil finds in Europe, Asia, North America, Arabia as well as Africa. The fossil material assigned to the Simbakubwa genus represent the most complete hyainailourine known from sub-Saharan Africa. The researchers conclude that the fossils represent a relatively young adult animal and the material was collected at the Meswa Bridge site (western Kenya). Bayesian ancestral state reconstruction supports an Afro-Arabian origin for Hyainailourinae with subsequent dispersal to Europe and Asia. A regression analysis conducted by the authors of the paper, based on carnassial size suggests that Simbakubwa could have weighed around 1,500 kilogrammes, more than four times the weight of a modern African lion. The evolution and extinction of Hyainailourinae offers important insights for interpreting ecological transitions from Paleogene to Neogene faunas in Afro-Arabia and Eurasia. The scientific paper: “Simbakubwa kutokaafrika, gen. et sp. nov. (Hyainailourinae, Hyaenodonta, ‘Creodonta,’ Mammalia), a gigantic carnivore from the earliest Miocene of Kenya” by Matthew R. Borths and Nancy J. Stevens published in the Journal of Vertebrate Paleontology. The recently introduced Rebor Killer Queen T. rex dinosaur models are proving to be very popular with collectors and dinosaur model fans. This Tyrannosaurus rex figure is available in two colour variants (plain and jungle) and several parts of this dinosaur are poseable. The lower jaw is articulated, the tail contains a flexible rod that enables it to be put into numerous poses and the arms move to. Everything Dinosaur has created a short, helpful video that explains how to free up the arms on this Rebor replica. When first unpacked, the forelimbs can be a little stiff and difficult to move. However, give the joints a few seconds of heat, such as from a hairdryer and collectors will find that the warmed joints become easier to manoeuvre. The video has been posted up on our Instagram page along with some more pictures and it is up on our YouTube channel as well. At Everything Dinosaur, we use our various social media platforms, such as this blog, our Facebook page along with Instagram and our YouTube channel to post up helpful information about prehistoric animals and dinosaur models. We will also be posting up videos in the near future that demonstrate the articulated jaw on the Rebor Killer Queen and a video that highlights the poseable tail. We try our best to educate and inform our customers about the various prehistoric animal models and figures that we supply. However, we can sometimes get our colour variants mixed up, for example, in the video highlighting how to free up the arms we referred to the figure as a “plain” variant, however, eagle-eyed viewers will spot that we were actually using the Rebor Killer Queen “jungle” colour variant in our video shoot. The Rebor Killer Queen T. rex is available in two colour schemes (jungle and plain). Eagle-eyed viewers to our various social media platforms will also notice some subtle changes to our themes and layout. Everything Dinosaur has received a trade mark and our team members are slowly amending all our social media platforms to reflect this. For example, our header image for the Everything Dinosaur YouTube channel has already been changed. The Everything Dinosaur YouTube channel header. Note the ® symbol which denotes a registered trade mark. Note the ® symbol associated with the Everything Dinosaur logo, Everything Dinosaur is now a registered trade mark (February 2019). The talented team at JurassicCollectables have posted up a short video review of the new for 2019 walking Pteranodon model from the Wild Safari Prehistoric World figure collection. This video review really helps collectors and prehistoric animal model fans to appreciate the vivid colours that Safari Ltd chose for their new pterosaur figure. Unlike most flying reptile figures, this new for 2019 introduction, depicts Pteranodon on the ground, after all, these members of the Pterosauria must have spent some time on “terra firma”. In the short video review, (the video lasts six minutes and thirty seconds), the narrator takes the Pteranodon model out of its wrapping and provides viewers with a guided tour of the figure. Much of the video focuses on the beautifully-painted head, crest and beak. In particular, the painting around the eye is praised. Safari Ltd have made Pteranodon figures before, but this is the first Pteranodon model that has been depicted in a walking pose and not with the wings stretched out in a flying position. The superbly painted Wild Safari Prehistoric World Pteranodon model. In the video, viewers are given a close-up view of the Wild Safari Prehistoric World Pteranodon model. The genus Pteranodon and the first species (P. longiceps), was erected in 1876 (Othniel Charles Marsh). Numerous models of this famous Late Cretaceous pterosaur have been made, but few of them with the quality of sculpt and the paintwork of this Safari Ltd replica. The shape of the crest denotes the species and the tiger colouration and the subtle airbrushing on the crest is admirable. JurassicCollectables reviews the Wild Safari Prehistoric World Pteranodon model. This well-crafted figure measures over eight centimetres long and the head is some ten centimetres off the ground. The Pteranodon model used in the review was one of the first of the production figures to be made. In this most informative video review, the model is compared with the recently reviewed Kaiyodo Sofubi Toy Box T. rex figure . The Papo green standing T. rex also features, along with a cameo appearance by off-colour Alan. No JurassicCollectables video review would be complete without an appearance of the Alan Grant figure. Wild Safari Prehistoric World Pteranodon compared to the Kaiyodo Sofubi Toy Box T. rex. Our thanks to JurassicCollectables for posting up such an interesting and helpful video review, of what is an excellent pterosaur model. The remarkable Silurian-aged deposits located at a secret site in Herefordshire (England), have provided scientists with a unique look at the early evolution of sea cucumbers and their relatives. The rocks at this location are comprised of very fine grained volcanic ash that settled on the seafloor some 430 to 425 million years ago. These deposits have preserved in fantastic detail the remains of the marine biota. The latest new species to be named from this location is Sollasina cthulhu, a multi-tentacled, benthic animal that was a ferocious predator. The prehistoric sea cucumber’s trivial name honours the “Cthulhu” universe, as it resembles some of the monsters created by the American, 20th Century science-fiction writer H. P. Lovecraft. At only three centimetres across, it might not look very formidable to us, but its numerous tentacles, (actually tube feet), would have been used to terrorise and capture other animals as it roamed across the seafloor. Writing in the academic journal the “Proceedings of the Royal Society B (Biology)”, palaeontologists from the USA and the UK were able to create an accurate, three-dimensional digital reconstruction of the 430 million-year-old fossil. The exceptionally preserved fossil, once analysed using this three-dimensional computer modelling technique, revealed details of internal soft tissues previously not seen in a fossil like this. Like other fossils from the secret Herefordshire “Lagerstätte”, Sollasina cthulhu was examined using a method that involved grinding it away, layer-by-layer, with a photograph taken at each stage. This led to hundreds of images being produced which were then combined in a special computer programme to create an exact 3-D image, a “virtual fossil”. The scientists, which included researchers from the Oxford Museum of Natural History, Leicester University, Imperial College London, Yale University and the University of Southern California, were able to make out an internal ring, which is believed to be part of the organism’s water vascular system. The water vascular system is the system of fluid-filled canals used for feeding and movement in living sea cucumbers and their relatives. This new fossil was subjected to a phylogenetic analysis to assess the evolutionary relationships between fossil sea cucumbers and sea urchins (members of the Echinodermata Phylum). The results showed that Sollasina and its relatives are more closely related to sea cucumbers than they are to sea urchins. This has provided a new insight into the evolution of this very important group of invertebrates. Three-dimensional reconstruction of Sollasina cthulhu using the computer programme. Tube feet shown in different colours. A typical Silurian marine biota. The ecosystem is dominated by arthropods, corals, brachiopods and molluscs. Everything Dinosaur acknowledges the assistance of a press release from the Oxford University Museum of Natural History in the compilation of this article. The scientific paper: “A New Ophiocistioid with Soft-tissue Preservation from the Silurian Herefordshire Lagerstätte, and the Evolution of the Holothurian Body Plan” by Imran A. Rahman, Jeffrey R. Thompson, Derek E. G. Briggs, David J. Siveter, Derek J. Siveter and Mark D. Sutton published in the Proceedings of the Royal Society B. The eagerly awaited Rebor Killer Queen Tyrannosaurus rex models are due to arrive at Everything Dinosaur in the next few days. Both versions of the Rebor T. rex are coming into stock, the brown/black-coloured model (plain) and the predominately green-coloured replica (jungle). This is the second Rebor T. rex pairing after the successful launch of “Vanilla Ice” in the autumn of 2018. The Rebor Killer Queen Tyrannosaurus rex dinosaur models (jungle and plain colour variants). The Rebor Killer Queen models have articulated lower jaws, moveable forelimbs and a flexible tail so the tail can be posed in various positions. When these figures arrive, Everything Dinosaur team members will be busying themselves by contacting all those who have reserved figures. It is likely that these very collectable figures will feature in Everything Dinosaur’s next customer newsletter. Each Tyrannosaurus rex figure measures approximately 40 centimetres in length. At the hips, the models measure a fraction under 13 centimetres in height. The Rebor Killer Queen T. rex dinosaur model (Plain). Collectors will have the opportunity to pick up two versions of this model. Tyrannosaurus rex is known from Upper Cretaceous strata from the United States and Canada. One fossilised footprint from Mexico, suggests that the “King of the Tyrant Lizards” lived in Mexico as well, but no body fossils have confirmed this assertion. It has been suggested that T. rex was confined to more northern latitudes, even the most southerly portions of Laramidia could not be described as “jungle”, although the palaeoenvironment in the southern portion of Laramidia is regarded as sub-tropical. T. rex would have been familiar with plains, although analysis of plant fossils indicates that the Hell Creek Formation (Maastrichtian faunal stage), deposits are representative of a riverine dominated system surrounded by forest. T. rex Killer Queen (jungle). It has recently been confirmed that Everything Dinosaur will be offering both “plain” and “jungle” as a set at a specially discounted price. Purchase the Rebor Killer Queen T. rex models as a pair (plain and jungle). Today, we feature another of those wonderful prehistoric scenes created by Safari Ltd. Safari Ltd have produced some superb images illustrating various models within their excellent Wild Safari Prehistoric World range and today, the sail-backed, pelycosaur Dimetrodon steps into the spotlight. The Wild Safari Prehistoric World Dimetrodon diorama. In the illustration (above), a pair of Dimetrodons confront each other. Such intraspecific conflicts may have been relatively common as animals fought for dominance, mates and territory. Known from North America, Europe and Russia, several species of Dimetrodon have been named. One of the largest (D. grandis) is estimated to have weighed around two hundred kilograms and measured in excess of three metres in length. Dimetrodon grandis would have been an apex predator within its ecosystem and it is quite probable that these reptiles (distantly related to modern mammals), would have battled each other to win mates and to gain territory in which to hunt. In the illustration created by Safari Ltd, we see a pair of Dimetrodons confronting each other against a backdrop of a conifer forest. It is possible, that these large reptiles may have competed with each other for the best basking sites, an example of intraspecific competition. After all, if that large sail played a role in thermoregulation, the best places to warm up in the morning would have been at a premium for these large animals. Wild Safari Prehistoric World Dimetrodon model. Introduced into the model range in 2018. The latest incarnation of Dimetrodon by Safari Ltd was introduced into their model range in 2018. It ostensibly replaced an earlier figure that had been part of the Carnegie Collectibles model series. When the Carnegie relationship ended and this part of the Safari Ltd model portfolio was retired, the company had the opportunity to introduce several new figures in subsequent years. For example, in 2018 the new Dimetrodon replica was one of fourteen new prehistoric animal figures launched. Sail-back reptile with ferocious teeth. The Wild Safari Prehistoric World Dimetrodon figure is approximately the same size as the earlier Carnegie Dimetrodon (approximately 19 cm long), but there are subtle differences between the two models. The sails are different shapes, the supporting struts (elongated spines from the vertebrae), are more prominent in the most recently introduced version and the limbs in the 2018 model look more powerful and robust. These changes reflect the changing interpretation of the fossil material associated with this genus. Our congratulations once again to the design team at Safari Ltd. Not only has this company produced some excellent prehistoric animal figures, including monsters from the Palaeozoic like Dimetrodon, they have also produced fantastic promotional images of their creations.